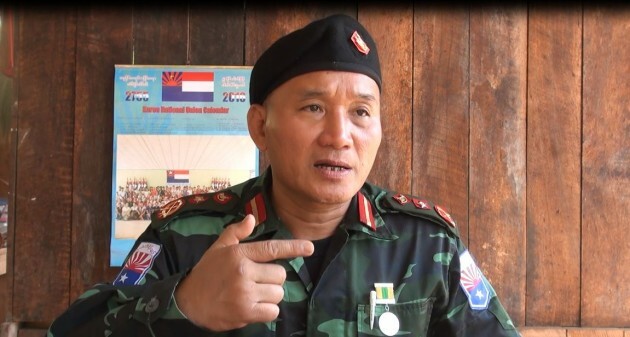 In an exclusive Interview with Karen News, General Baw Kyaw Heh, Vice Chief-of-Staff of the Karen National Liberation Army, question the potential of Burma’s new government to wrestle power from the country’s military elite. General Baw Kyaw Heh, the Vice Chief-of-Staff of the Karen National Liberation Army told Karen News that ethnic people had placed their faith in Aung San Suu Kyi and her National League of Democracy to deliver real political change in Burma. General Baw Kyaw said that winning government was the first step, now will come the hard part, turning the massive ballot win into positive political change. General Baw Kyaw said 60-plus years of military dictatorship will take time to undo. General Baw Kyaw told Karen News that the military will plan on conceding just minimum changes to keep people confused that real changes are happening. General Baw Kyaw said that despite the difficulties confronting Suu Kyi and the NLD he still retain some hope. “We do not have much hope that we will get our rights from this new government. But we are not without hope, we have a little bit of hope and we will have to fight for it. What I am saying is that the old government cannot keep a strong grip on the power like before. If they do, the situation could be worse than that in 1988 [uprising]. So, the old government will have to loosen its grip on power slowly, bit-by-bit and. They will have to try to adjust themselves [to changing situation]. They have to try, and we have to try [to make changes]. The old government can’t stand strong as it did in the past, they will have to make changes. This does not mean that Aung San Suu Kyi has no chance, she does. General Baw Kyaw confirmed to Karen News that he was willing to cooperate with the newly elected government. General Baw Kyaw was quick to point out that the ethnic groups have to remain strong and united as it was their best chance to win a share of the political power. General Baw Kyaw said that despite the election win the new government would have to wary of the influence of ‘power brokers’ from the military backed previous U Thein Sein led government.